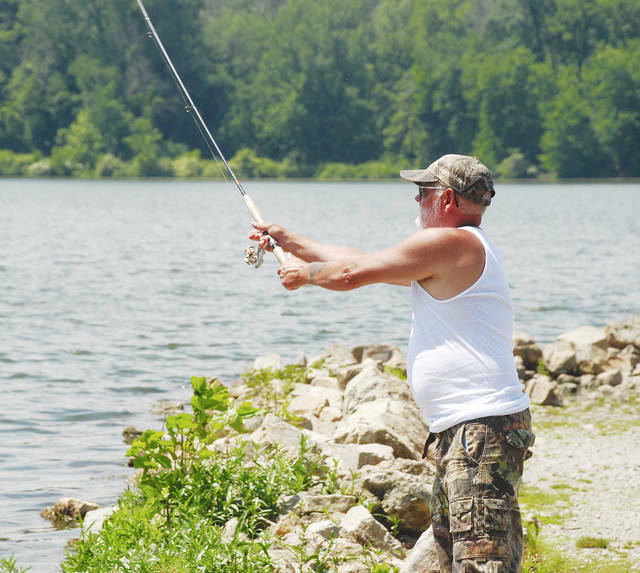 Tom Lisch of Springfield recently spent a day fishing at Kiser Lake. Although 2017 was a summer of public health advisories and beach alerts due to algae bloom at Kiser Lake, so far this year no alerts have been posted by the state of Ohio. To check the latest information on any Ohio beach before entering the water, log on to the Ohio Department of Health’s Beach Guard portal at https://tinyurl.com/yc82e7rd. https://www.urbanacitizen.com/wp-content/uploads/sites/36/2018/06/web1_fishingguy.jpgTom Lisch of Springfield recently spent a day fishing at Kiser Lake. Although 2017 was a summer of public health advisories and beach alerts due to algae bloom at Kiser Lake, so far this year no alerts have been posted by the state of Ohio. To check the latest information on any Ohio beach before entering the water, log on to the Ohio Department of Health’s Beach Guard portal at https://tinyurl.com/yc82e7rd.